The Forest School continues to make exceptional progress in all the new government measures including absolute GCSE passes. 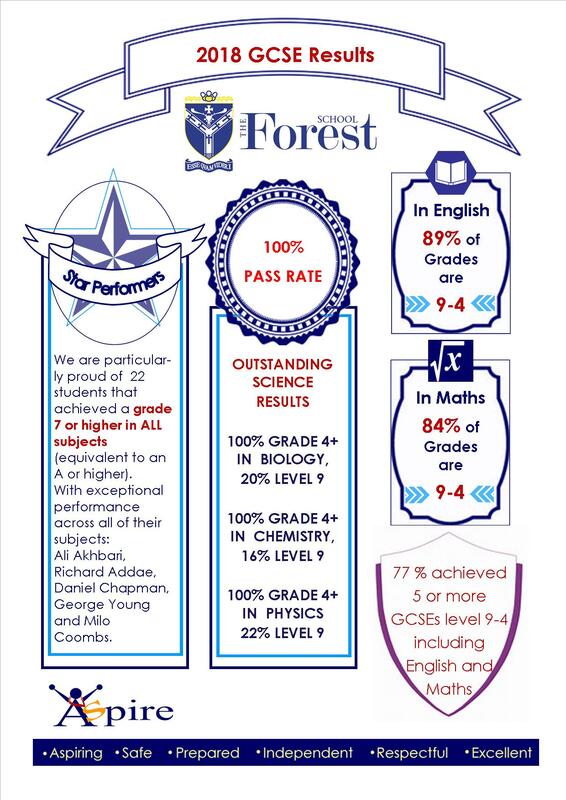 Congratulations to all The Forest Boys for their outstanding GCSE results this year, with 77% of all students achieving 5 GCSE passes including English and maths and 17% of the boys receiving an A or A* equivalent pass in English and maths. In fact 22% of all grades awarded were A* or A equivalent. This represents a significant 27% point improvement on last year’s results and is a reflection of the changes led by the new Headteacher, Shirley Austin. Shirley Austin says, "These fantastic results are an outcome of the hard work and dedication from the students, their teachers and support of their parents, especially with the new more robust GSCE examinations. I would like to offer all the boys my best wishes as they begin the next steps in their education, most of whom will be staying with us at Forest 6th Form." Core subjects performed exceptionally well with English, maths and science all achieving well above their targets. In particular boys studying sciences achieved 100% Grade 4+ an average score grade of 7 (equivalent to an A). As an average a ‘good’ pass was achieved in sixteen subjects. We are particularly proud of 22 students that achieved a grade 7 or higher in all subjects (equivalent to an A or higher). I feel a special mention is required for the following students for their exceptional performance across all of their subjects: Ali Akhbari, Richard Addae, Daniel Chapman, George Young and Milo Coombs. When we compare our results to mixed schools across the country the boys are out performing similar schools and many mixed schools which shows a continued rapid increase in student outcomes achieved through our ASPIRE ethos. 77% Grade 9-4 (A*-C) 5 GCSEs including English and maths. Congratulations to all our sixth form students who received their exam results today. We are delighted with another great set of A level results. Despite the changing nature of A level exam specification changes our results have remained good, providing all students with positive outcomes, with unrestricted choices for their future. Results this year show 94% of students achieved their university place of choice, with remaining students progressing into alternative provision, including degree apprenticeships. 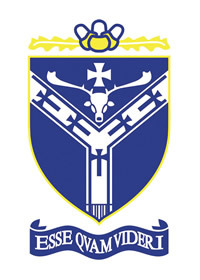 Over 34.3% of students achieved A*-B. Over 62% achieved A*-C and the overall pass rate reached nearly 98%. Ofsted recognised the sixth form provision at The Forest School as 'Good'. Shirley Austin, Headteacher, said, "Congratulations to all students and staff on their preparation and performance, once again we are delighted to celebrate their hard work, determination and their success, and wish them all the best for the future, whatever they choose to do". To view full details of the latest Progress 8 and Attainment 8 scores please click the link below. Note: Vocational subjects are marked using the following - D* Distinction*, D Distinction, M Merit, P Pass.